I read about pop culture brand extensions all of the time (Modern Family nail polish, anyone? ), but I did not see this one coming. 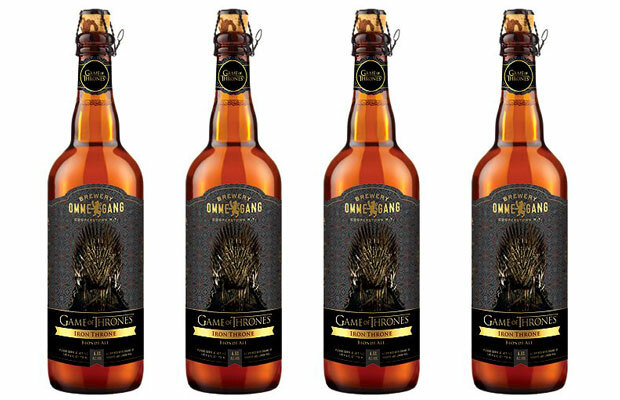 Earlier this week, Brewery Ommegang and HBO announced that they would be collaborating on a series of beers inspired by the network’s popular show Game of Thrones. The first beer, a blonde ale called Iron Throne, will be on tap beginning March 31, 2013 to coincide with the Season 3 premiere of the show. I think this will be a great partnership because it pushes beyond the boundaries of traditional alcohol product placement. Tying each beer into an element or character is a smart way to create an authentic connection with viewers. And with the advent of social tv, networks have been looking for ways to build a sense of community around their shows. Aside from the increase in social tv mobile apps that allow viewers to win prizes or unlock exclusive content, networks have also asked actors to live tweet with fans, sold show-related merchandise online and have even gotten network stars to appear in the commercials that air during their shows. One of the most famous and subtle forms of alcohol product placement can be found in James Bond films in which the Bond character always orders his martinis “shaken, not stirred.” Although the Bond franchise has introduced other signature drinks over the years, this simple on-screen request is something that I have seen replicated in person many times by people who may- or may not know where it originated from. Now, that’s branding! So it’ll be interesting to see what type of experiences HBO and Ommegang build around their Game of Thrones brews. Will also be interesting to see how it effects viewership of the show and whether or not it will have any residual impact on pop culture as evidenced in the Bond example above. Would you drink a beverage that was created as an extension of one of your favorite shows?